NEW! Celebrate Events: Reward customers for sharing their key life moments, like their birthdays, pet’s birthdays, Mother-In-Law's birthday, anniversaries and more. Create multiple events and give your customers many reasons to visit and purchase from your store! Highly effective loyalty, referral and rewards program will capture leads and help you convert them into into sales, referrals, social followers, and repeat buyers. 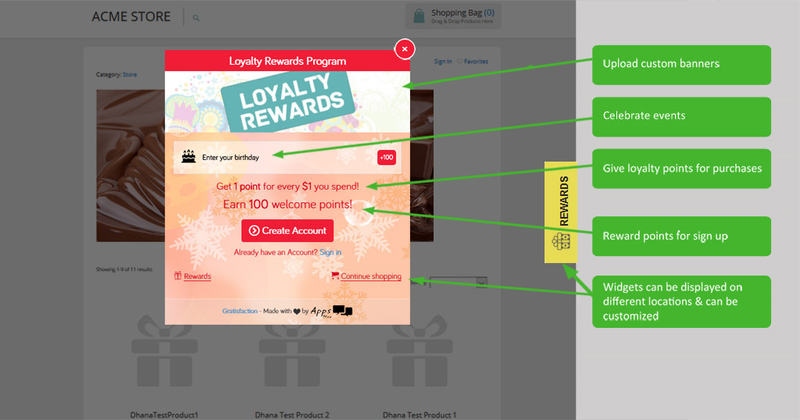 Customize the loyalty and referral program as per your criteria to reward your customers. Celebrate Events: Reward customers for sharing their key life moments, like their birthdays, pet’s birthdays, Mother-In-Law's birthday, anniversaries and more. 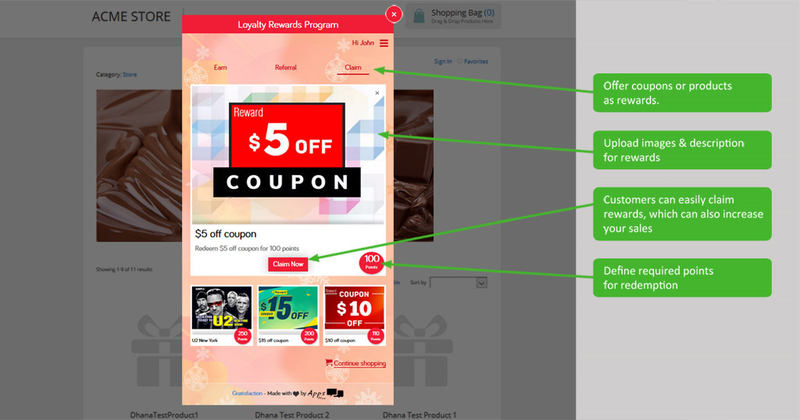 Create multiple events and give your customers many reasons to visit and purchase from your store! 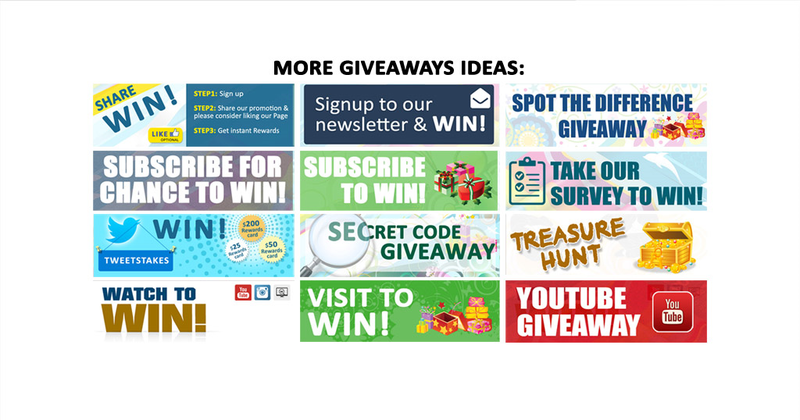 Run an awesome instant rewards, giveaways, and other contests. 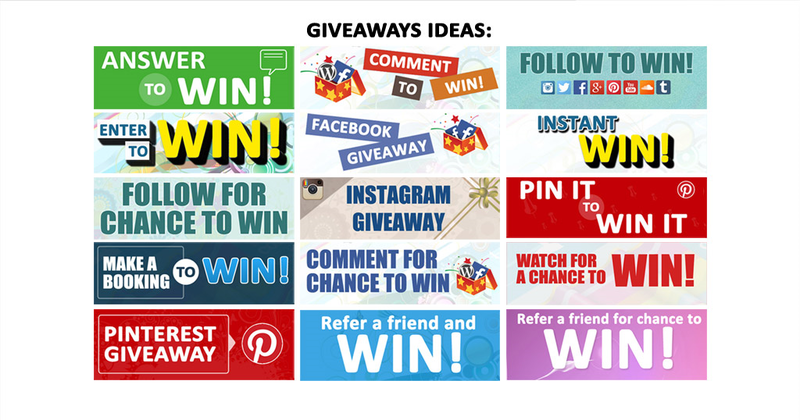 Incentivize people to subscribe to your social media posts. Drive social media traffic to your store’s website. This is a great app! I tried Swell Rewards and Loyal2 first and found Gratisfaction to be the best app by far for rewards and loyalty points. At Gratisfaction the customer service is the best for sure. They always respond to emails promptly and efficiently even supplying personal videos as teaching tools when needed. I set the Gratisfaction app up so it appears on all pages of my website. The widget and popup look clean and don't take up a lot of space on the pages. I've set up a "points for purchase" and "referral" campaign with more options to come. It appears my customers are intrigued and are signing up often. I highly recommend this app over any others for a reward and loyalty points program. Go for it! Mineral Mindz, www.mineralmindz.ca. 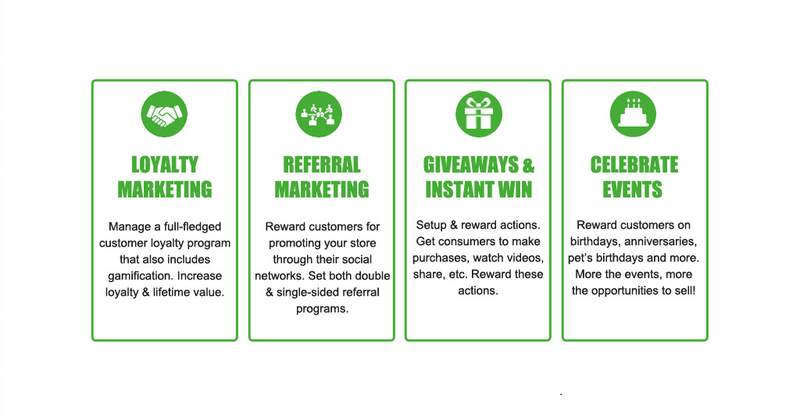 Reward your customers for bringing in referrals that generate new sales for your business. 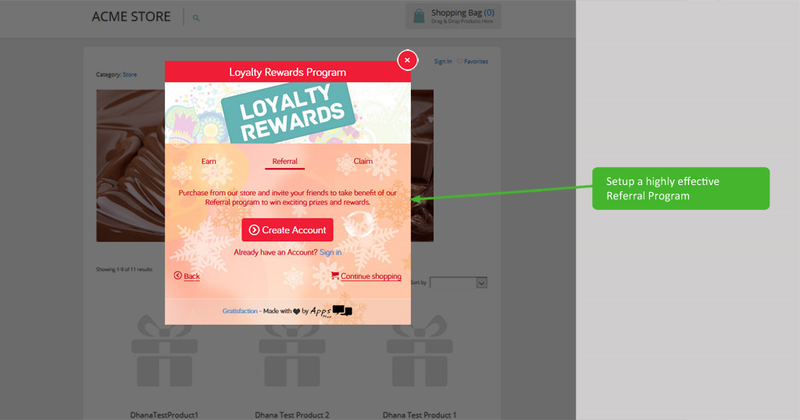 Reward visitors with points for registering an account. Give participants points or instant rewards for spreading your store’s message to the public on your behalf. 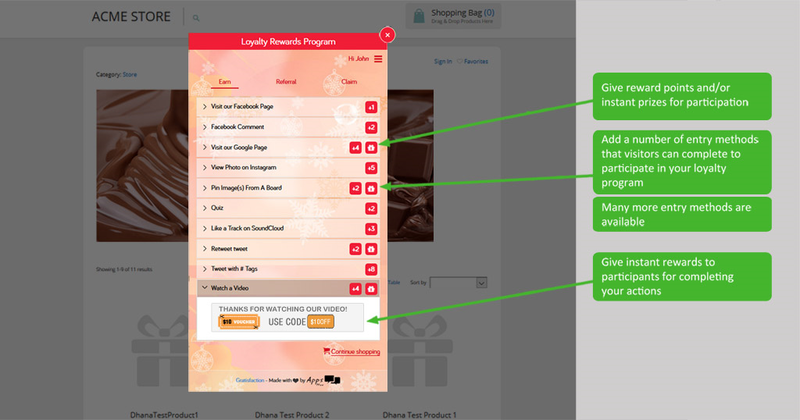 Give participants points or instant rewards for interacting with you store’s web presence: Following you on Twitter, visiting your Facebook Page, tweeting or retweeting posts, watching your YouTube video, and so on. Set up custom forms and reward participants for filling them in. Customers can spend their points by claiming rewards, from coupons to physical rewards. Define the points required to redeem the selection rewards; you have all the freedom to run your program however you see fit.